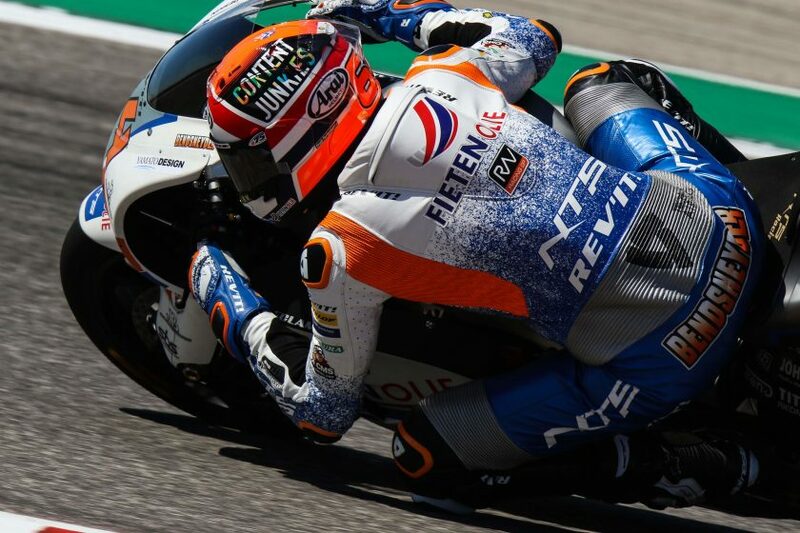 Bo Bendsneyder will start the Moto2 race of the GP of Argentina from 16th. 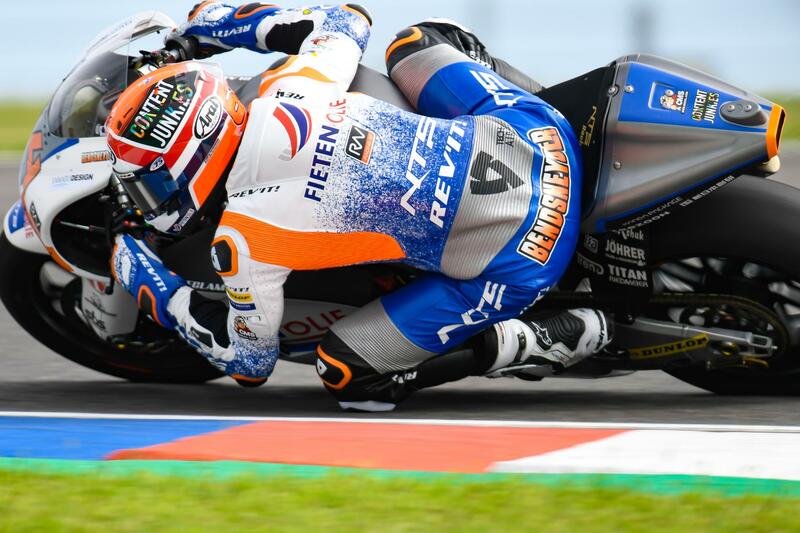 The Dutchman had to go through Q1 after just missing out on direct access to Q2 when he finished 15th in FP3 on the Termas de Rio Hondo circuit on Saturday morning. Jesko Raffin didn’t make it to Q2 and will start the race from 24th on the grid. 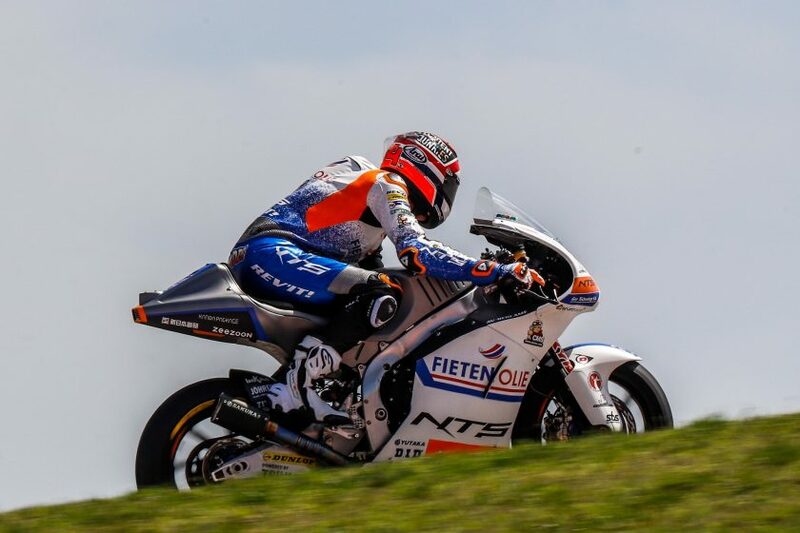 NTS RW Racing GP had to cope with some small disappointments on the second day of the Argentinian Grand Prix. 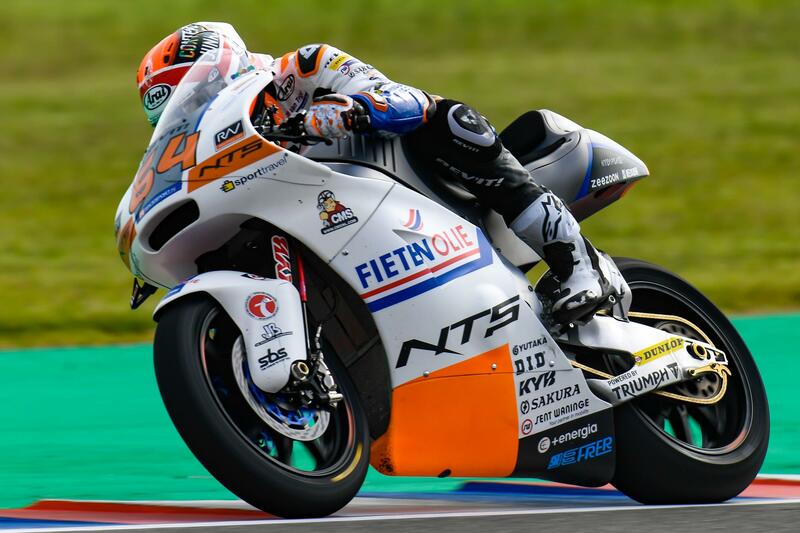 In FP3 Bo Bendsneyder was pushed out of the top 14 in just the final seconds, with a difference of 0.048, meaning that he had to go through Q1 after all. In this first qualifying session the Dutchman set the third fastest time of 1.43.192, allowing him to move on to Q2. 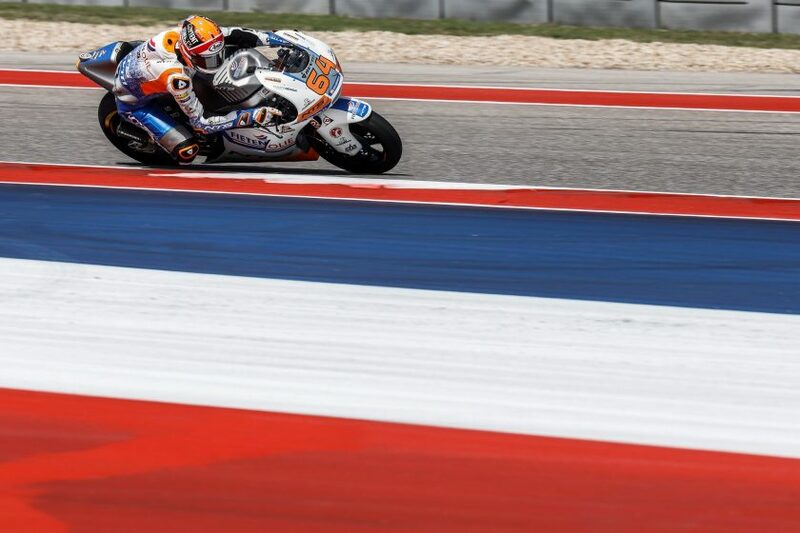 In this second qualifying session Bendsneyder couldn’t improve his Q1 lap time. With 1.43.498 he had to settle for 16th, which was another small disappointment as he had been around P12, P13 for most of the time. Xavi Vierge set the fastest time of the session, with 1.42.726. The top 13 was within four tenths. Teammate Jesko Raffin set the tenth fastest time in Q1 (1.43.730), meaning he will start the race from 24th. After FP3, the final free practice on Saturday morning, the team decided to change the engine of Raffin’s bike hoping to solve some problems with gear shifting, but that didn’t change much. “Despite some little disappointments it wasn’t a bad day”, NTS RW Racing GP team manager Jarno Janssen said. “It’s a pity Bo just missed out on direct access to Q2 and that he couldn’t improve his Q1 lap time, but 16th isn’t bad at all. He has some points close at hand. Jesko had some problems with gear shifting. We changed the engine but the feeling was still not 100 percent. The pace nevertheless is good, so the outlook is positive. The weather forecast for tomorrow is quite changeable, so we’ll just have to wait and see.” The Moto2 race will start at 18.20 CET.